This classic short sleeve rugby jersey is a strong, robust cotton and polyester mix, so it’s not only comfortable, but built to last as well. It’s available in sizes 5XL – 6XL for big and tall NSW Blues supporters. Our short sleeved Vintage Rugby Jersey has the genuine Rugby League look in every fibre. It has a cut and sew chest panel with vintage badge, contrasting sleeves and a cotton drill collar with loop neck placket and button closure. It also has Canterbury’s decades of manufacturing experience behind it, so it’s built comfortable yet tough from strong, robust 300gsm cotton and polyester. 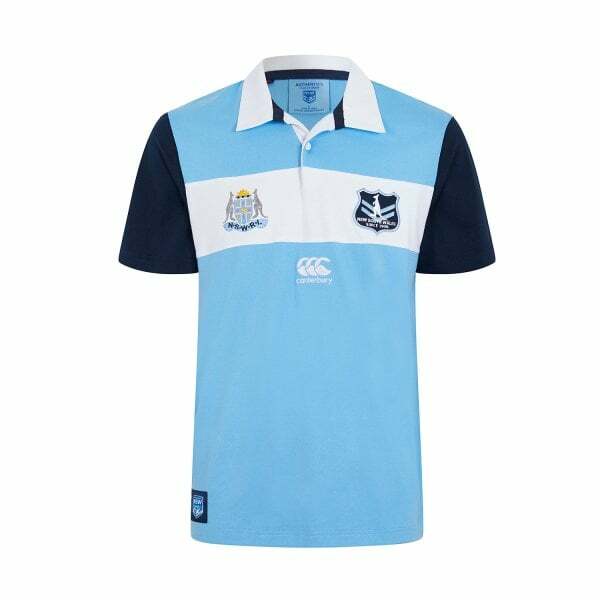 Best of all for those big and tall NSW Blues fans out there, it’s available in sizes 5XL – 6XL. A vintage garment you’ll wear all the time, get yours now from Canterbury’s 2019 NSW Supporters collection.